On January 7, 1828, twenty-year old Margaret Holt married Levi Furguson in Southampton County, Virginia. The Furgusons had two sons that survived to adulthood, Jesse Levi Furguson and Baker L. Furguson. Levi Furguson died in 1837, and the following year Margaret Furgurson married a wheelwright, Absalom Harris of Northampton County, North Carolina. Together, Margaret and Absalom Harris had three more sons, Michael Decatur Lawrence Harris, Benjamin Franklin Harris, and Thomas Jefferson Lafayette Harris. All of the Furgurson and Harris male children left home in the antebellum period. Jesse Furguson became a coach painter in Hertford County. Baker Furguson became a merchant in Northampton County and his half-brother, Thomas Harris, clerked in his store. Upon the outbreak of war, however, all the men came home and enlisted in the 12th North Carolina Infantry. After several reorganizations, that unit became the 32nd North Carolina Infantry. Baker Furguson won an election for the company’s second lieutenancy, and his brother, Jesse Furgurson, served alongside him as sergeant. The three Harris brothers enlisted as privates, but quickly rose through the ranks. Promoted to sergeant after his half-brother Jesse Furgurson became third lieutenant, Michael Harris fought at the sides of his family until wounded at the Battle of Fort Stedman, Virginia on March 25, 1865. Captured in a hospital after the fall of Richmond, he spent the last few months of the war in the Union prison at Point Lookout, Maryland. Just days after Michael Harris’s wounding, Union fire hit Jesse Furgurson in the right hand, something so serious that his superior officer sent him home. Baker Furgurson left in the service in 1862, complaining of a “hernia” that made him “unable to perform the duties incumbent upon me.” Of all the Harris and Furgurson children, only Thomas and Benjamin Harris served until the war’s end. The Federal Provost Marshal recorded them as two of only one-hundred and fourteen members of the 32nd North Carolina Infantry to surrender at Appomattox with General Robert E. Lee. Amazingly, all five brothers survived the war. Baker Furgurson and Thomas Harris returned to their store. 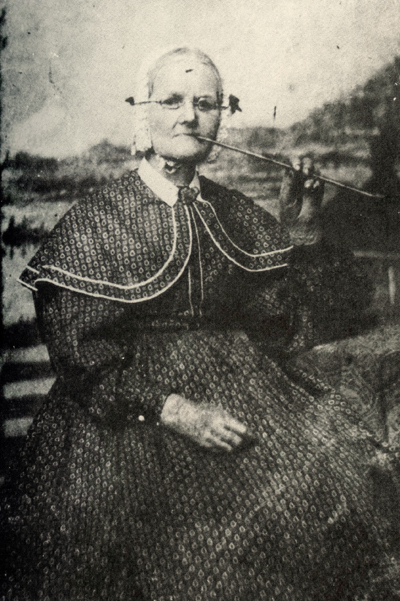 Jesse Furgurson married Mary Theresa Baker in 1867, ultimately moved to Granville County, and continued to work as a coach painter. Michael and Benjamin Harris followed the path set by their father and earned a living as wheelwrights. Their mother died in 1885.